Trailer for A Bridge Life: Finding Our Way Home. Follows one man's efforts to come to the aid of victims of Hurricane Katrina in September, 2005, when New Orleans' levees failed, causing a devastating flood that engulfed the Crescent City and forced hundreds of thousands of residents to flee for their lives. The focus of the documentary is Dan Sheffer, a middle class Florida loan officer who travels to Houston's Astrodome, where most of the evacuees were transferred immediately after the disaster. His goal: transport 10 evacuees to Plantation, Florida and help them get back on their feet by providing aid, shelter, and temporary jobs--in essence, 'a bridge life.' While at the Astrodome, Dan meets Cynthia and Edwin Pierre, an African-American couple who had managed to find each other after being separated by the storm. They agree to go with Dan to Florida with the aim of starting over. Along with five other evacuees, they board a United Airlines flight the next day. And what follows changes everyone's life forever. 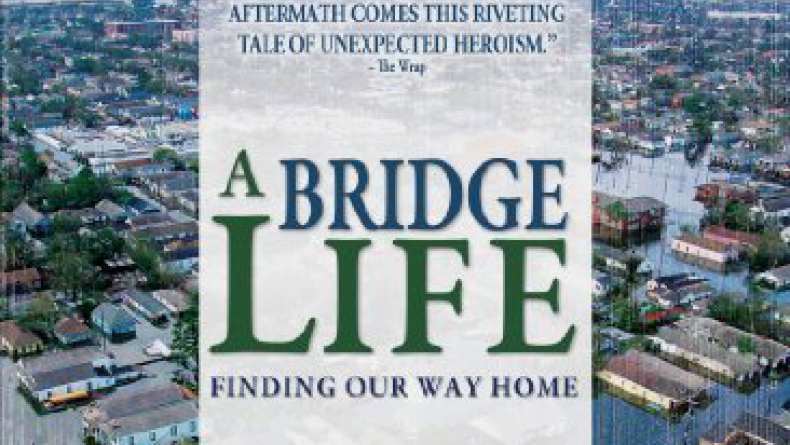 Through the prism of one tragedy and six success stories, 'A Bridge Life' tells the tale of Dan's Good Samaritan mission and how his band of survivors made a new life for themselves in the months after the catastrophe. In the end, through ordinary people doing extraordinary things, the film underscores the importance of hope and the indomitable human spirit as America struggles three years later to find its way home from Katrina.